In dining rooms, tea shops and coffee houses all over the globe, coffee and tea are served in cups and saucers of every color, pattern, size and shape. From vintage design to modern chic a teacup cup enriches the experience of sipping Oolong or espresso. 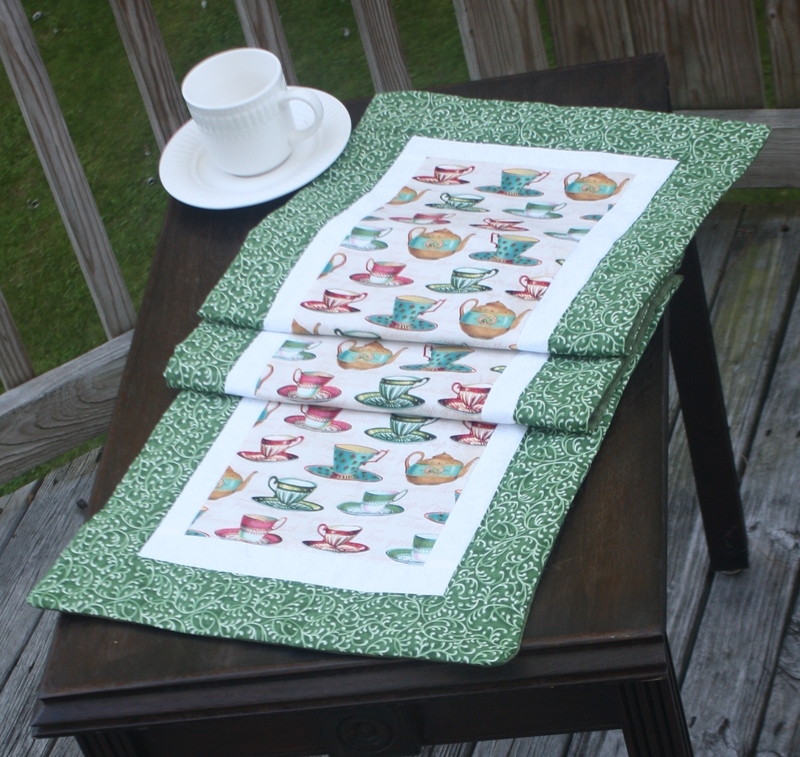 So, expand your experience with this charming tea cup table runner. Taking time with yourself or a special aunt with just a bit of tea. It was fun creating this delightful handmade table runner. Just think you can adorn other places in your home with this adorable teacup table runner. Made for every season, this cup and saucer with teapots design will decorate your kitchen, breakfast bar, china closet, and more, as a sweet enhancing accent. Or use this for your special afternoons of piping hot tea and homemade muffins and pastries. Or perhaps a morning coffee is your forte! Let this lovely handmade Tea Cup table runner inspire a special time to have some warm, comforting afternoon tea, or aid in the crafting and display of something playful yet elegant. 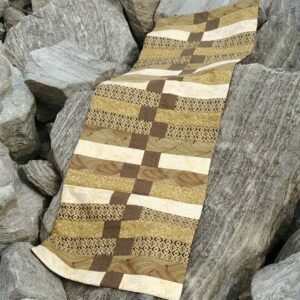 This handmade table runner is bordered in white and surrounded in tan, green or blue. Made with 100% cotton top and bottom and poly batting makes this handmade table runner easy to care for. Long approx 51" x 14", Standard approx 38" x 14", X Long approx 71" x 14"